If your reptile becomes ill,,there may be a time when using a nebulizer could be greatly beneficial to his or her health. 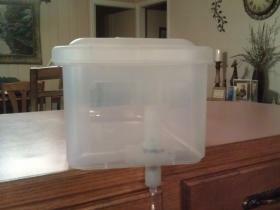 Making one is relatively easy to do and the most expensive part is the nebulizer itself. You can usually find one for just a little over $30.00. 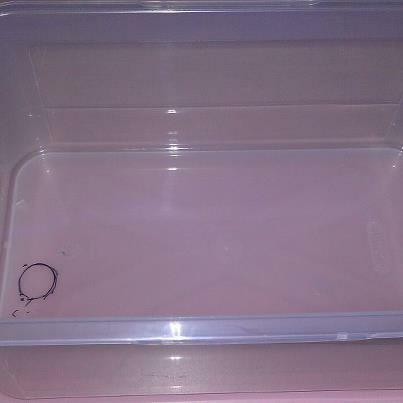 You will need a clear plastic container, preferably with a lid. You need one large enough to hold your dragon comfortably, but not so large where the medicine would not be as effective due to the extra space. Next, carefully cut a hole in the bottom edge of the container and insert the tube into the hole. You can use tape to help secure and seal the tube. 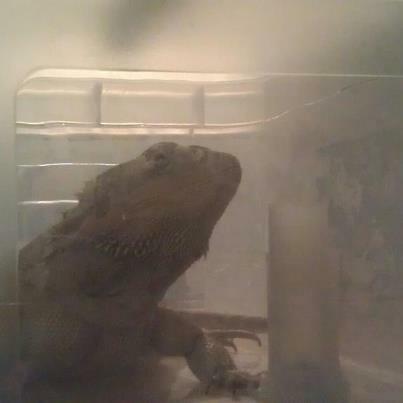 All thats left to do is put the medicine required in the cup as directed by your vet, put your dragon in the container. 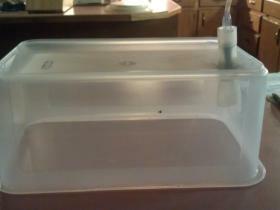 Put the lid on the container but leave a small crack to ventilation. Turn on the nebulizer and run it as prescribed by your vet. Mark where and how big you want the hole. Place tube in hole and secure with tape. Bearded dragon receiving medicine via the nebulizer.